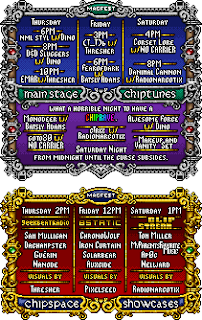 I'm excited to announce I'll be playing at MAGfest in 2017 on January 5, 2017! 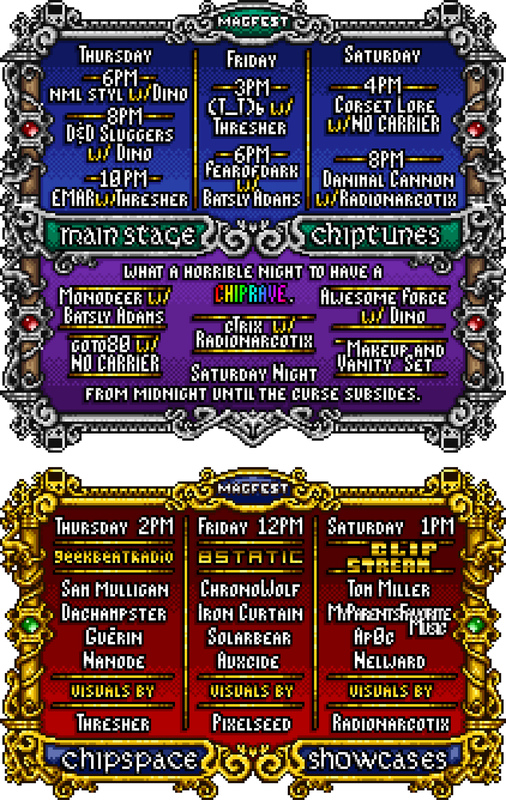 I'm the first official performer at MAG again this year, and then a few other great people will be playing right after me, and it's all happening in the ChipSpace. All of the wonderful details are on this beautiful poster created by the super talented pixie druid. I'm going to play some new stuff and some old faves, come say hi!